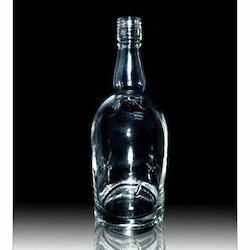 Available with us, is an unmatchable range of Liquor Glass Bottle 06. These liquor bottles are manufactured using high grade glass material that is procured from the established vendors of the market. Quality experts present in our structure test these liquor bottles on several parameters to ensure that the bottles are designed in accordance with international market standards. Packaging: in Cartoon without Caps. All kinds of liquor bottle like beer, wine, vodka etc of varying capacities are available. We have marked a remarkable position in the market by offering the best quality array of Plain Glass Liquor Bottle. 750 ml glass bottle mostly used for liquor, we have facilities of decorative bottles, like all types of colour etc. We are amongst the most reputed names in the industry, offering Liquor Glass Bottles.